Avendus advises OfBusiness on Series C funding of INR 200 crore, led by Creation Investments and Falcon Edge. 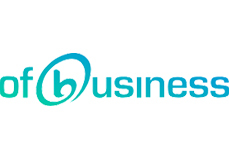 OfBusiness, a technology enabled SME financing platform, has raised INR 200 crore in Series C financing led by Creation Investments and Falcon Edge with existing investors Matrix Partners and Zodius Capital participating in the round. With this new round of funding, the company has raised a total of INR 500 crore of equity and debt funding till date. The Company has also raised debt lines from Kotak, Tata Capital, RBL Bank and Northern Arc amongst other lending partners. Avendus Capital was the exclusive advisor to the current transaction. OfBusiness has created a new category of purchase finance for SMEs, aligned to the cash flow cycles for traditional sectors as manufacturing and infrastructure, enabling access to institutional credit as an alternative to high cost distributor financing. OfBusiness also differentiates itself by adding value to an SME’s business beyond financing, through its raw material fulfilment and new opportunities platform (Bidassist). The fulfilment platform provides cost-effective procurement of raw material to SMEs and ensures guaranteed end use of funds for OfBusiness. This integrated offering enables higher business yield, repetitive loan transactions and better asset quality. OfBusiness combines financing and a raw materials platform seamlessly through technology. Underwriting of loans is done by not only evaluating financial data of the SME, but also proprietary data contributed by the SME community of buyers and sellers. Amongst its other service offerings, OfBusiness has also developed a proprietary platform, Bidassist, to help SMEs discover new growth opportunities across public and private tenders. OfBusiness has demonstrated strong growth (10X AUM growth over last year), portfolio health (GNPA ~ 0.5%) and bottom line profitability. The latest infusion of growth capital will be used by OfBusiness for continued rapid growth, greater financial leverage and scaling a robust profitable model.